Brendan Winters, Director of PSB China, and his brother, Ryan, a former Elon University basketball player and current PSB Charlotte coach will be headed over to China from October 1-9 for a few clinics and a 3 on 3 tournament. This will mark Brendan’s third trip over to China and Ryan’s first. Coach Ryan playing at Elon v UNC! The duo will start their trip in Chengdu where PSB is operating full-time. On Oct. 2nd, Brendan and Ryan will lead a skills clinic for Chinese players who, the following day, will be taking part in a PSB 3 on 3 tournament. After the clinic and 3 on 3 tournament, the brothers will depart on the 4th to Wenzhou. On October 5th, Brendan and Ryan will conduct 2 PSB clinics as well as plan the final details with the Wenzhou partners to open up PSB full-time beginning this winter. On the 6th, the 2 coaches will then head to Ningbo, about 2 hours away, for another Pro Skills Basketball clinic. Finally, the pair will will make their way to Shanghai on October 7th and 8th where they plan to take in the Golden State Warriors v. Minnesota Timberwolves in the final game of the NBA’s annual Global Games. Pro Skills Basketball is extremely excited about our expansion into China and it’s youth basketball scene. There is so much potential to develop and impact great youth basketball players, and we’re honored to have a chance to play a small part in that. 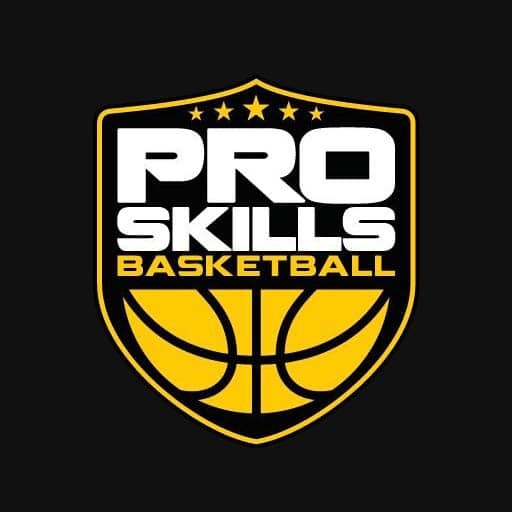 If you want to read more about Pro Skills Basketball China, please go to our homepage here as well as follow us on Instagram and Twitter accounts! PSB had an amazing first summer of basketball in China after officially establishing Pro Skills Basketball China this past spring! After a great summer last year in 2016 running a few weeks of Nike Basketball Camps in Hangzhou and Shanghai, China, this summer PSB expanded to run camps in Chengdu, Wenzhou, Hong Kong, and Bengbu. Beginning this fall, Pro Skills Basketball will be using a new online registration software called League Apps. We are making the switch because we believe this new software is better suited to us as a youth basketball organization as well as more convenient and easy for our parents to use. All new and returning users will have a create a new account on League Apps, but this can simply be done using your Facebook profile if you should so choose. If not, users can manually enter their required information. After that, users will be able to login as always. To read about all the great features League Apps offers for youth basketball, please go to their website here. Currently, some of our programs and events are still finishing up using our old registration software, Zen Planner, but by September 1st all cities should be switched over to League Apps. To check out the programs and events in your city, click here and sign up today! NEWS: Fall/Winter Select Team Tryouts Coming Soon! Tryouts are coming soon for our 2017 fall/winter season PSB Select teams. This year, we’ll have fall/winter teams in Charlotte, Denver, and San Antonio. See below for more details on each city! Tryouts for our AAU teams in Charlotte will take place in both the north and the south. These tryouts will be used to fill in any open spots from our 2017 spring/summer PSB Select teams. South Charlotte team tryouts will be held on August 1-2 and 8-9 at Charlotte Latin School for players in grades 4-12. You can sign up now on our website! North Charlotte team tryouts will be held on August 13th and 20th at Lake Norman Charter High School for players in grades 4-12. You can sign up for them here! **Please note, we are using a new online registration system, so all new and returning players will need to create a new account. Pro Skills Basketball is thrilled to announce that we’ll be officially opening PSB China! This has been a goal of ours since last summer after PSB director’s Brendan Winters and Ross Schraeder ran 3 weeks of Nike Basketball Camps in Shanghai and Hangzhou, China, and there have already been a couple of events that have taken place including the promotional clinic in the video below.